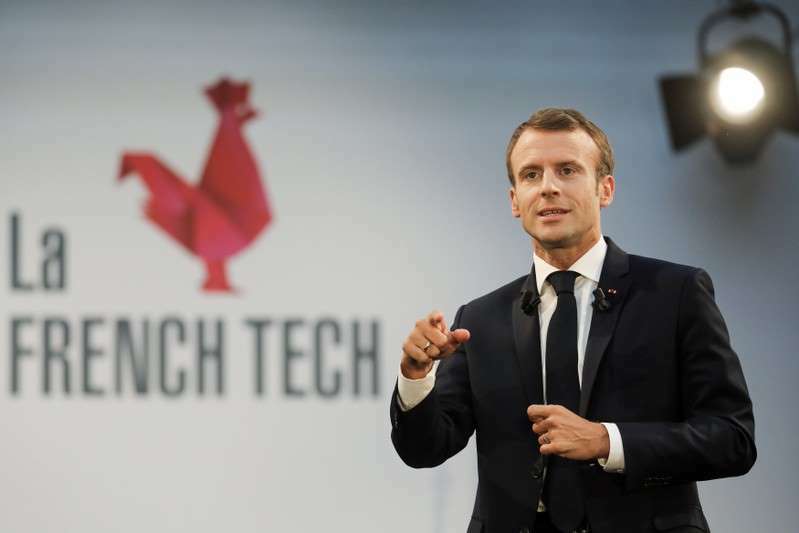 French President Emmanuel Macron said on Friday it was not clear whether a foiled attack on a Paris-based Iranian opposition group was ordered by the higher echelons of authorities in Tehran. "As you know Iran is sometimes divided into different factions and tensions, and so I can't say today whether the order came from the top or from this (security) service or that division," he told France 24 television in an interview. France's foreign ministry said on Oct. 2 there was no doubt the Iranian intelligence ministry was behind the June plot and froze assets belonging to Tehran's intelligence services and two Iranian nationals. The plot targeted a meeting of the National Council of Resistance of Iran (NCRI) outside Paris. U.S. President Donald Trump's lawyer Rudy Giuliani and several former European and Arab ministers attended the rally. Belgium charged an Iranian diplomat and three other individuals on Oct. 10 with planning to bomb the meeting. Two of the suspects were intercepted by Belgian police. One senior French official told Reuters the plot is likely to have been hatched by hardliners looking to undermine President Hassan Rouhani, who has tried to improve Iran's relations with the outside world. Macron said he was still awaiting explanations, but that Rouhani had not given him any during two exchanges he had with the Iranian president. The hardening of relations between Paris and Tehran could have far-reaching consequences for Rouhani's government, which is looking to European capitals to salvage a 2015 nuclear deal after the United States pulled out and reimposed tough sanctions. Macron repeated that there should be a more demanding policy towards Iran which needed to include keeping the existing deal, discussing its nuclear work after 2025 when parts of the agreement expire, its ballistic missile programme and curtailing its regional influence. "I've never been naive with Iran or thought it would be easy," Macron said.